A false tweet from a hacked account owned by the Associated Press (AP) in 2013 sent financial markets into a tailspin. 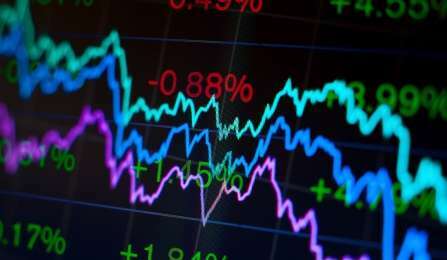 The Dow Jones Industrial Average dropped 143.5 points and the Standard & Poor's 500 Index lost more than $136 billion of its value in the seconds that immediately followed the post. Once the nature of the tweet was discovered, the markets corrected themselves almost as quickly as they were skewed by the bogus information, but the event, known as Hack Crash, demonstrates the need to better understand how social media data is linked to decision making in the private and public sector, according to Tero Karppi, PhD, an assistant professor in the University at Buffalo College of Arts and Sciences' Department of Media Study. Based on its speed, Hack Crash was identified as a computer-based event, initiated by sophisticated algorithms designed to identify and evaluate Internet content that could influence markets. Those algorithms launched what amounted, in human terms, to a panicked trading spree, executing thousands of trades per second - all because of the assumed gravity of one social media posting. "We need to begin to identify the different ways social media is being connected to modern finance. This includes an understanding of how things spread online and how the Internet infrastructure is designed for things to spread," says Karppi, who with Kate Crawford of Microsoft Research and the MIT Center for Civic Media, analyzes the 2013 Twitter and Wall Street collision in a forthcoming issue of Theory, Culture & Society. Though not all tweets are equal, under certain conditions, posts can spread like spilled milk across a table. Add critical credibility factors to the mix and it's as though that same milk has been spilled just as one end of the table is being lifted off the ground. That's what happened on the afternoon of April 23, 2013, when hackers broke into the AP's Twitter account and sent a message that a pair of explosions at the White House had injured President Barack Obama. As a trusted news organization with millions of Twitter followers, the AP tweet, albeit a malicious hack, had inherent authority - and popularity, being retweeted 4,000 times in less than five minutes. The information spread into financial markets in micro-seconds and the markets responded. Nobody knows for sure what exactly caused the flash crash in the markets, but many financial analysts researched in the study argued that high-frequency traders who use algorithms both to execute trades and to get important signals of the future from social media feeds were involved. Financial algorithms execute trades based on many variables, sometimes performing autonomously. And they move faster than human thought. Since the markets operate on uncertainties and probabilities, the algorithms presumably responded to the uncertainties and probabilities implied by the false tweet, but Karppi says it's impossible to know the specific genetics of these algorithms. "We know the principles of algorithmic trading, such as they operate based on timing, price and volume and they rely on the speed of the network infrastructure. But to know exactly what particular financial algorithms do is almost impossible because of their proprietary nature," says Karppi. "Since we do not have access to these algorithms we need to find alternative ways to understand how they work." Hack Crash is often cited as an indication of a system failure, but Karppi says it's an example of algorithms working according to design. To understand Hack Crash it's necessary to continue exploring the relationship between social media, the market and its algorithms. "Social media is still a relatively new area of research and a majority of that research is focused on everyday users. Only recently have we begun to realize other actors that have tremendous power are monitoring social media feeds," says Karppi. "These players come from financial markets, but also from the security industry and the public sector, to name a few. In general there seems to be this neo-positivist belief that social media data represents our reality and can be used to make accurate decision making." It's all happening quickly, and that's a problem, according to Karppi. "When computation systems begin to analyze what spreads on Twitter and then makes decisions based on these predictions faster than human response time we will see unpredictable consequences," he says. House of cards. The antidote to this would be to simply increase the minimum latency of any given actor in trading systems. There is no practical reason why trades should be executed in picoseconds. A fair scheduling algorithm with say a 1-5 second latency would suffice to remove all these idiotic machines from the equation. I don't know why we allow botting in the first place on our financial markets. Everyone knows these things are only fair until someone brings a bot into the game. Then it's all rigged forever.